The chief cook who looked after the Cessna 172 plane crash search and rescue team says she may not have known the two victims, but she felt like they were her own. 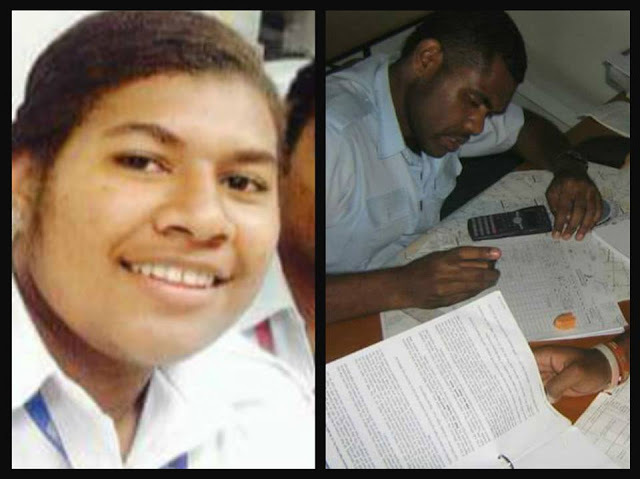 Flying instructor Iliesa Tawalo and student Merelesita Lutu died in the crash. “We did our best by cooking meals for the search and rescue teams, the soldiers, Police and the villagers. “It was the most painful moment, when their bodies were carried from the helicopter to the vehicle that transported them to the hospital. We could not stop crying,” she said. Another woman Ilisabeta Rota, 37, said: “Everyday early in the morning I left home to prepare breakfast for the rescue team. After that, I went home to prepare breakfast and lunch for my two children and get them ready for school. I didn’t get tired by looking after the rescue team. About 10 women of Dogoru came together to prepare a three-course meal for the search and rescue team. The post-mortem examination has been completed and the bodies of the student pilot Merelesita Lutu and Instructor Iliesa Tawalo have been handed over to their loved ones. Acting Deputy Commissioner of Police Rusiate Tudravu has confirmed that the Pacific Flying School plane crash site will be handed over to New Zealand appointed investigator today. Tudravu says the post-mortem results will not be released as it is an ongoing investigation. 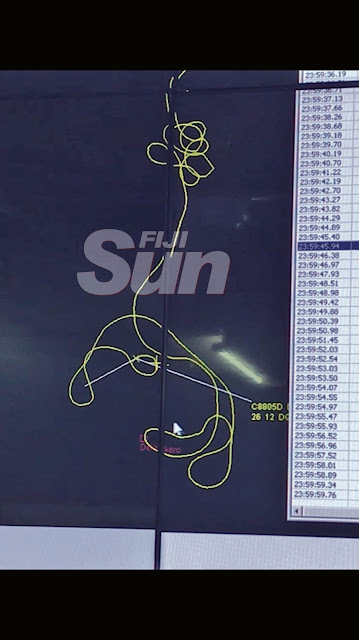 The Cessna 172 flight track, marked in yellow, shows the plane had made several circles after it left Waiqele Airport on Monday. The plane then made few more circles over Delaikoro mountains before the fatal impact. 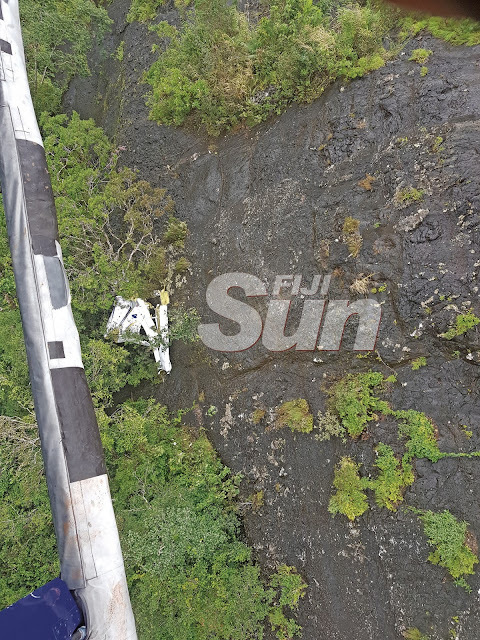 The Cessna 172 crash site in Vanua Levu, which has been confirmed by the Fiji Maritime Surveillance Rescue Co-ordination Centre. This is the temporary landing zone which was cleared on Wednesday. It is located on the plateau of the Delaikoro ridge. 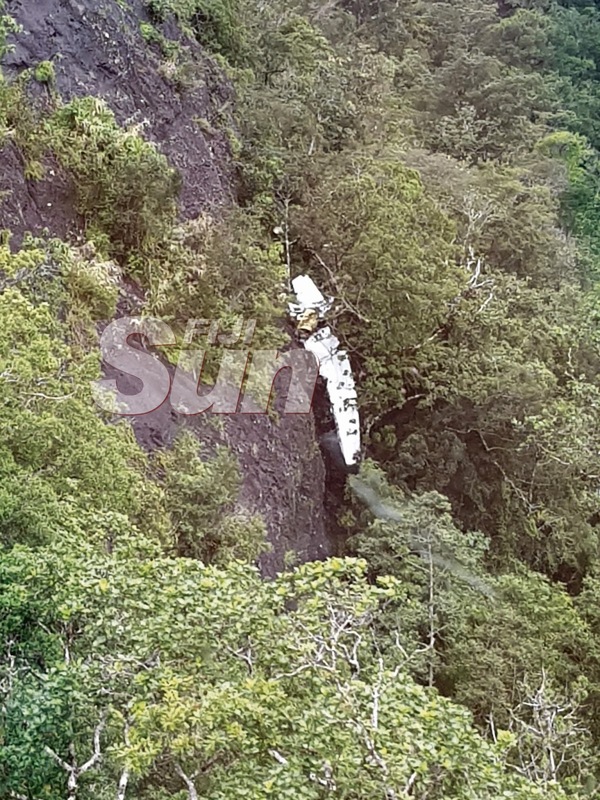 The ill-fated Cessna 172 training aircraft circled 10 times before it crashed at Delaikoro ridge in Macuata on Monday, it was revealed yesterday. The Fiji Rescue Co-ordination Centre (Fiji RCC) made the revelation as it pieced together the final moments before the aircraft lost contact with the Air Terminal Services (ATS) Savusavu tower. 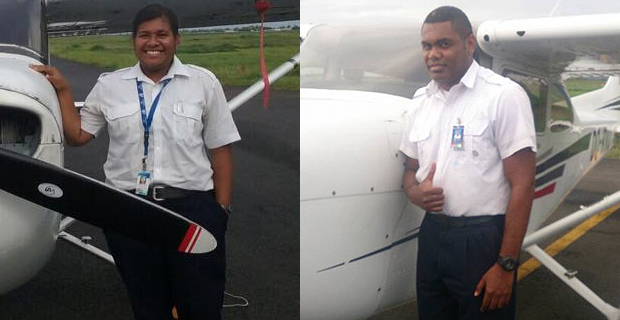 Pacific Flying School instructor Iliesa Tawalo and student Merelesita Lutu, 20, were on board. 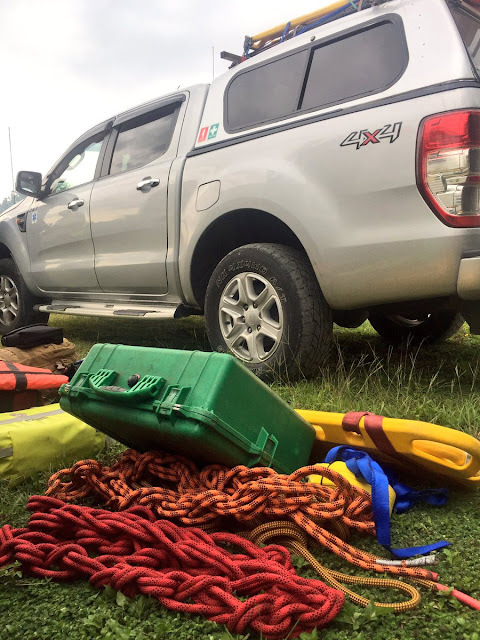 Their bodies were retrieved from the wreckage last night by members of the search and rescue team, which was camping at a landing site not far from the crash scene. They would be transported by road to Labasa Hospital today. The centre said shortly after take-off from Waiqele Airport, the aircraft circled once before it continued on its route to Savusavu. Minutes later, the aircraft again circled six times before continuing on its journey. Information received at the centre showed the last visible sighting of the aircraft and it indicated that the duo were tracking west. As the aircraft reached the Delaikoro ridge, it circled four times. Villagers of Dogoru, who were out on their farms planting yaqona, said they saw the aircraft circling. They claimed the pair got lost in the fog because of the poor weather conditions before they crashed at the edge of the ridge. The centre said it suspected that the aircraft had failed to get over the ridge. When found, the aircraft was seen stuck in between the rocky cliff and some trees. The height of the cliff is measured at 2033 feet above sea level. The wreckage was found 18 minutes after the search team left Dogoru Village at 10:20am on Wednesday. The search and rescue team had cleared a spot about 50 metres from the edge of the ridge where they camped last night. Access to the wreckage can only be made by using ropes. Search teams were organised from the villages of Navakura , Nasalevu and Dogoru. As of 8 o’clock last night, Acting Deputy Commissioner of Police Rusiate Tudravu confirmed that the joint search team had managed to retrieve the bodies of the two victims from the plane wreckage. The bodies will be transported to the Labasa Hospital by road today. The victims’ families will be at the hospital to identify their loved ones before the post-mortem examination is conducted. “Due to nightfall, attempts were made to bring the victims’ bodies back down to an area that can be accessed by road to enable transportation to the Labasa Hospital,” Mr Tudravu said. 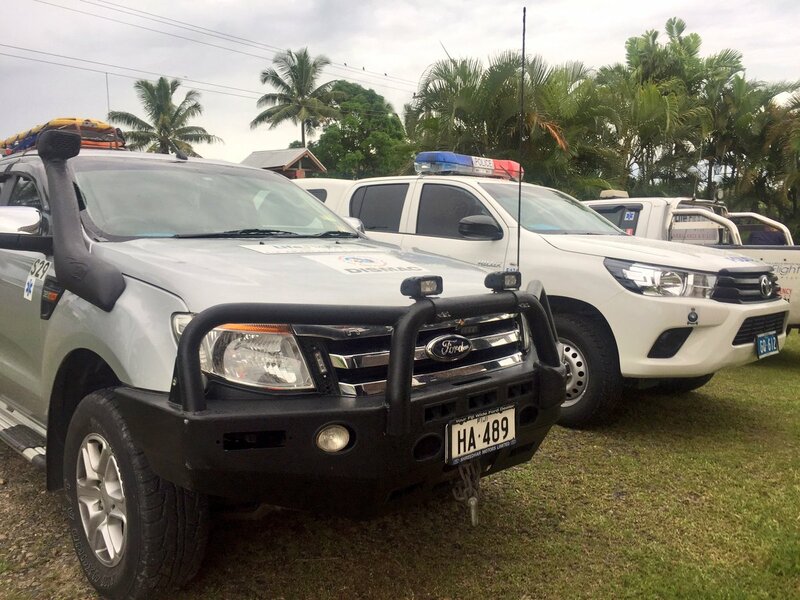 Despite challenges posed by rugged terrain and the location of the wreckage, Divisional Police Commander North Senior Superintendent of Police (SSP) Verani Nakauyaca confirmed that the bodies were carefully retrieved by villagers and officers of the Fiji Police Force, Republic of Fiji Military Forces and the National Fire Authority. The New Zealand-based Air Accident Investigator, Andrew McGregor, arrived at Waiqele Airport at 5pm yesterday and is expected to carry out his investigations today. The Fiji Sun has yet to get official confirmation from the Pacific Flying School on the flight details of the Cessna 172. 7:30AM – The Cessna 172 aircraft left Nadi International Airport for a scheduled training run to Waiqele Airport, Labasa, with flight instructor Iliesa Tawalo and student pilots Merelesita Lutu and Kalara Derederenalagi on board. 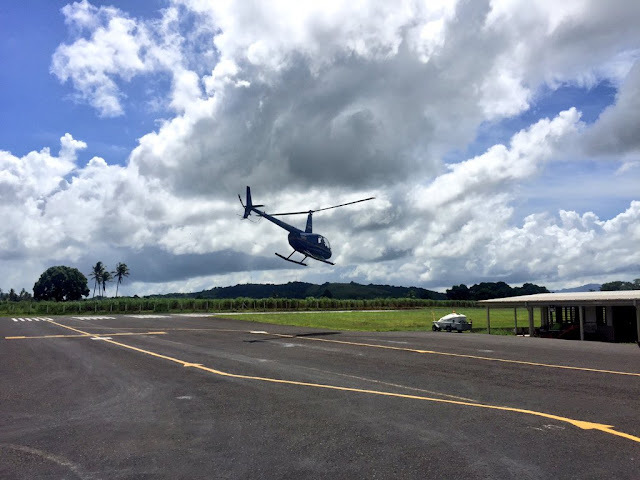 11:30AM – Flight instructor Iliesa Tawalo and student pilot Merelesita Lutu left Waiqele Airport, Labasa, for Savusavu. 11:56AM – Last contact between the flight instructor and Savusavu Tower established where Mr Tawalo informed the tower that they were returning to Labasa. Last location showed to be over Navakuru Hills. No further contact made. Three search parties including officers from Fiji Police Force and Republic of Fiji Military Forces started the search for the aircraft. 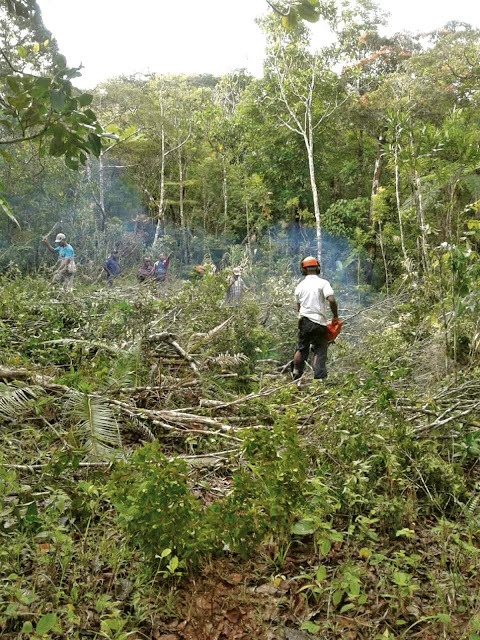 4PM – Search teams were at Delaikoro with help from villagers. 6PM – Search party focussing on Navakuru returned to the village hall and called off the search. Search parties also combed Suweni area and Delaikoro but went on to Doguru. At Doguru Village, DPC North SSP Verani Nakauyaca and Commissioner Northern Jovesa Vocea reconvened waiting for the military and police officers to return from their search who were still out conducting search well after 10pm. 7:05AM – Air rescue team of Fiji Rescue Co-ordination Centre (FMSRCC), Navy search and rescue officers, Volunteer First Responder (Fiji) rescue medics enroute with communication gear, drone and rescue medical gear to continue with search and rescue efforts. Additional aircraft tasking coordinated with the Ministry of Defence as search and rescue line ministry. 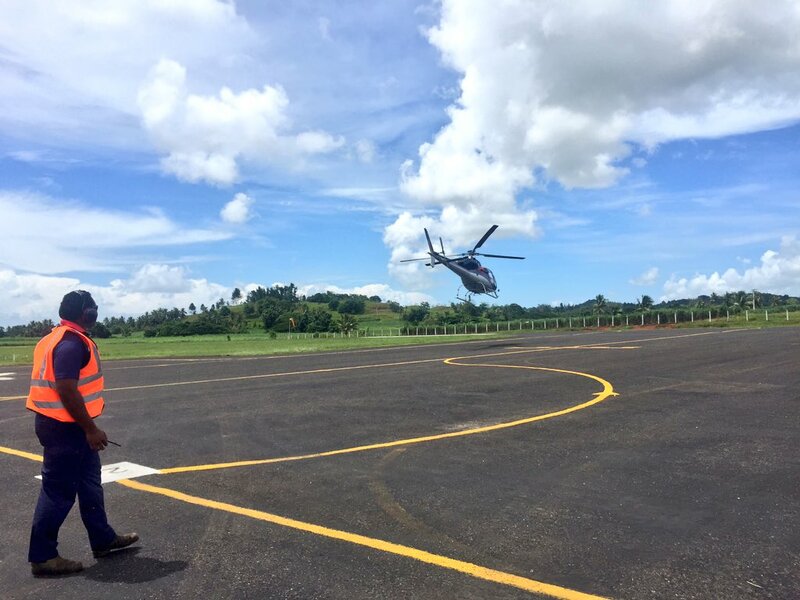 10:27AM – Forward staging team on the ground in Labasa focused on operations and co-ordinating with Fiji RCC, Police and Airports Fiji. Two aircraft engaged. Ground search team of RFMF/Police combing area on foot. 1:49PM – Air rescue team continues search while ground search teams also cover their search areas. Weather continues to impact operations at times. 6:32PM – Search teams stand down for the evening as the weather deteriorates. However, the Fiji Rescue Co-ordination Centre forward staging team work through the night with the Police Divisional Commander and Airports Fiji planning for continued operations at first light. 6:29AM – Ground and air teams geared up for continued search. Hope for a break in the weather to cover key areas of search. 10AM – Traditional presentation made to the Tui Macuata Ratu Wiliame Katonivere. 10:30AM – Wreckage of the Cessna 172 aircraft sighted at Delaikoro ridge. 1:45PM – Confirmation that aircraft was discovered by aerial search teams. Consolidated efforts by air and ground teams focus on gaining access to the site. 3:30PM – Police confirm discovery of the victims. 4PM – Minister for Civil Aviation Aiyaz Sayed-Khaiyum announced the appointment of New Zealand-based Air Accident Investigator Andrew McGregor as the independent investigator to determine the cause of the crash. Frantic efforts being made by the Police forensics and pathology teams to get to the crash site. 5AM – Team of CID officers leave Labasa for Delaikoro to visit the crash site. The Cessna 172 aircraft wreckage was found on Day 3. The search party at Delaikoro had a series of meeting to discuss how to extract bodies as good weather prevailed. 9AM – DPC North SSP Verani Nakauyaca held meeting with rescue operation team at Labasa Airport board room. 10:40AM – DPC held meeting with six National Fire Authority officers together with their Northern divisional officer Vinesh Kumar as to how to retrieve bodies from the wreckage. 11:30AM – Forensic team and pathologists (four-member team) arrived at Labasa Airport and left with DPC for Delaikoro. 1PM – Teams were deployed to crash site for the extraction of the bodies. 5PM – New Zealand-based air accident investigator Andrew McGregor arrives at Labasa Airport. He will carry out investigation today (Friday) after being briefed by Commissioner Northern Jovesa Vocea who will arrive in the first flight. He is expected to give media briefing after visiting the crash site. 6PM – One of the two bodies is retrieved from the crash site at Delaikoro. 7PM – The forensic team work on extracting the second body. Police and RFMF maintaining security over night. The team is awaiting return of the field team to get better situational awareness. 8PM – Acting Deputy Commissioner of Police Rusiate Tudravu confirms that the joint search team managed to retrieve both bodies from the crash site despite the challenges posed by the rugged terrain and location of the wreckage. To avoid risking further lives, the team stayed overnight to guard the scene and the retrieved bodies, and will proceed with the recovery operations at first light. TODAY – Families of the victims fly in to Labasa to identify the bodies before a post mortem examination is conducted. More than 300 students of Sabeto Sangam School in Waimalika, Nadi, yesterday observed a moment of silence as a tribute to the victims of the Cessna 172 aircraft crash. The aircraft crashed at the Delaikoro mountain in Macuata on a routine Pacific Flying School (PFS) training flight on Monday claiming the lives of flight instructor Iliesa Tawalo and student pilot Merelesita Lutu. School headteacher Muniappa Reddy said their school community mourned with the families of the victims. “We are all humans. The Sabeto family is a very big community. During these times of sorrow we also mourn with the families of the two killed in the plane crash,’’ Mr Reddy said. Mr Reddy said the school management decided that a moment of silence was to be observed during the school’s prefect induction ceremony after it was published in the dailies that the bodies of the duo had been found. The school yesterday inducted 48 prefects, including class prefects and environmental officers. The discovery of a plane wreckage has given the family of flight instructor Iliesa Tawalo a sense of closure. Mosese Baledrokadroka, Mr. Tawalo’s stepfather, said yesterday: “I have finally accepted the outcome of the situation as the wreckage had been found. It was in God’s hands although it is not easy to cope with it during this time. The late Mr. Tawalo and student Merelesita Lutu were on a routine Pacific Flying School (PFS) training flight when it crashed at Delaikoro mountain in Macuata on Monday. Members of the immediate Lutu family were in no position to speak yesterday. However, a close relative of the family revealed that the tragedy had hit Ms Lutu’s mother hard. Ms. Lutu was from Nagigi in Savusavu and had maternal links to Ra. complete her high school education at St Joseph’s Secondary School, Suva. PFS managing director and owner Tim Joyce said their deaths were shocking and depressing. “The student was very close to finishing school and she was a personal friend as well,” Mr. Joyce said. He said he had flown over the crash site and acknowledged that the search teams had been searching the same area for three days under very difficult circumstances. 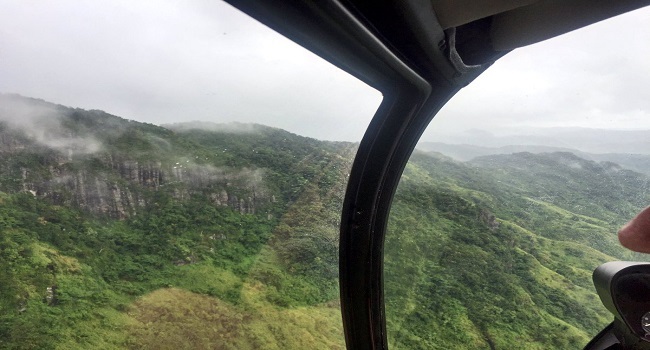 Police confirmed that the missing Cessna 172 aircraft, Registration DQ-FTR was found by an aerial search team in very rugged terrain near Delaikoro Mountain in Vanua Levu, not far from Labasa Airport. Mr. Baledrokadroka praised the efforts of the Fijian Government for appointing a New Zealand-based Air Accident Investigator, Andrew McGregor, as the independent investigator to determine the cause of the crash. “This is a good call, we need a thorough investigation to be carried out on what happened on that flight so that such an accident does not happen again in the future,” he said. Mr. Baledrokadroka said the families would be meeting later in the week to confirm funeral arrangements. It said that recovery operations had commenced and would continue today. A delegation from PFS has visited the family members of the deceased to convey their deepest sympathies and offer support. “Everyone at Pacific Flying School and the Joyce Aviation Group is deeply shocked and saddened by this tragic news and our thoughts and prayers are with the families, fellow students, friends and work colleagues of the Flying Instructor and Student Pilot who were on board the aircraft. Remains of the duo will be removed from the crash site today. A forensic and pathology team will make its way to the crash site at first light today. They will be followed by New Zealand-based Air Accident Investigator, Mr McGregor, who has been commissioned to investigate the fatal aircraft crash. 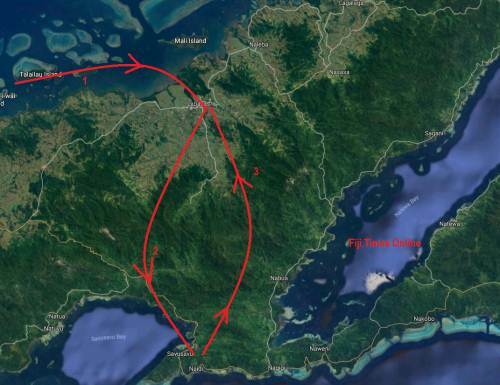 The Fiji Maritime Surveillance Rescue Coordination Centre (FMSRCC) confirmed that an aerial shot which showed the Cessna 172 hanging off a cliff onto tree tops and circulating on social media was authentic. Acting Deputy Commissioner of Police Rusiate Tudravu confirmed that the news had been relayed to the family of the victims. 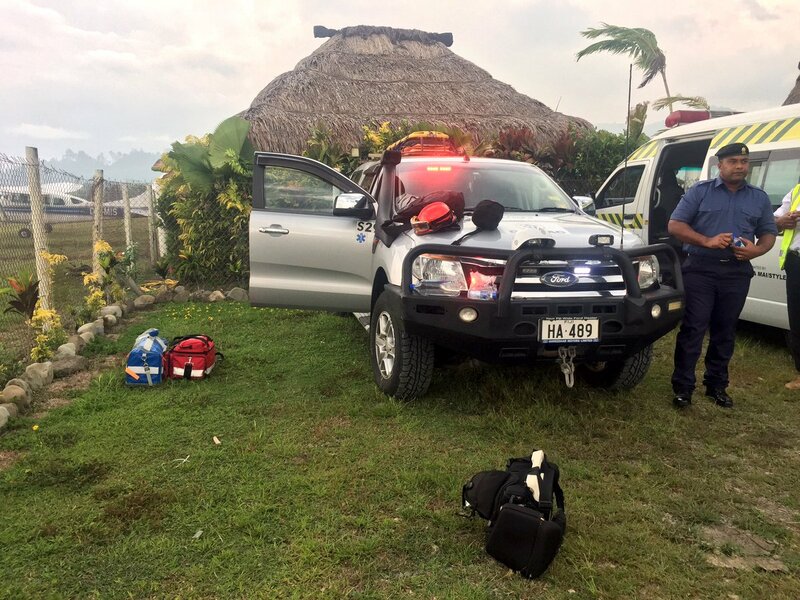 A joint search team consisting of officers from the Fiji Police Force and the Republic of Fiji Military Forces (RFMF) had reached the crash site and confirmed discovery of the two victims. Deputy Director of the Criminal Investigation Department (CID) Superintendent of Police Mesake Waqa has been tasked with overseeing the first phase of investigations. “Efforts are currently being co-ordinated through the Search and Rescue (SAR) Command Centre will now focus on securing the crash site for the arrival of the appointed New Zealand-based Air Accident Investigator,” Mr Tudravu said. He said the focus now shifts to the investigation into the circumstances leading up to the tragic incident. 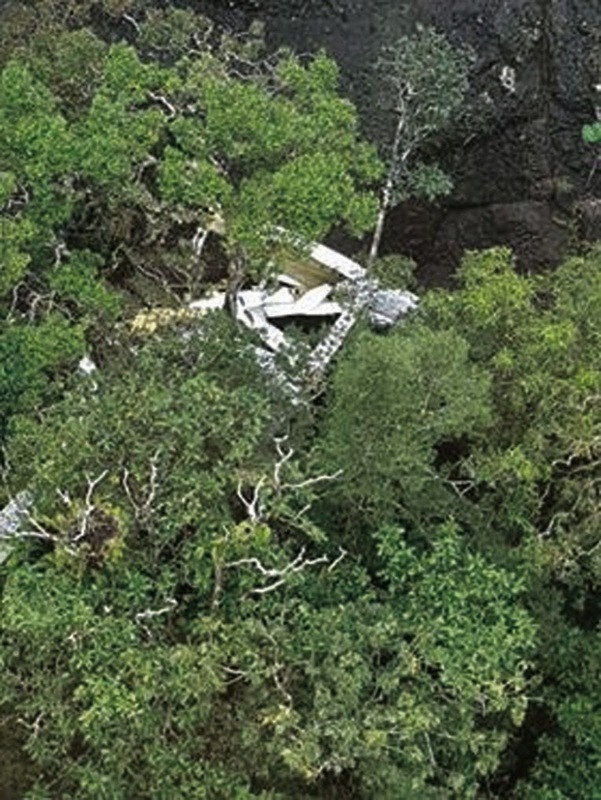 A senior Fiji Airways pilot and former PFS student said the Cessna 172 planes were known to be very safe aircraft. “Those Cessna 172 are very versatile aeroplanes. They are well-known for training a lot of pilots, and I did quite a bit of flying in those planes,” he said. He said instructors taught students what’s needed to be done as they were the ones with the experience. “For us pilots, this is something that is very close to our heart. This sort of thing is quite dark, three of my friends died in Air Fiji Flight 121 (PC121) and it brings those kinds of memories back to us,” he said. The senior pilot gave condolences to the families. 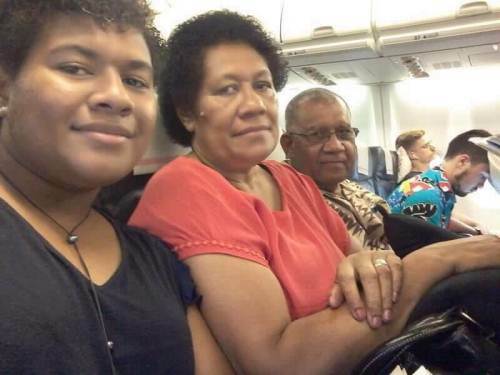 Student pilot Merelesita Lutu with her parents Adi Moala Lutu and Emosi Lutu. While police have confirmed sighting wreckage of the Pacific Flying School Cessna 172 missing since Monday, it has not been able to identify signs of the crew of the aircraft, Merelesita Lutu and Iliesa Tawalo. The Deputy Police Commander Northern Peni Moi however said the site of the wreckage was too dangerous for helicopters to approach too closely. DPC Moi said sending a drone at this time was also not feasible. However another reconnaissance flight of security personnel have since revisited the wreckage to explore a way to the location on foot. Meanwhile Ulamila Lutu, older sister to missing trainee pilot, Merelesita confirmed being visited by Police for the first time today with news the crash site had been located. "Keeping the faith that my baby sister and iliesa will return," Ms Lutu said. "It was great to get a visit and update from Police today." Update: 12:53PM POLICE have confirmed sighting the crash site of the Pacific Flying School Cessna 172 missing since Monday. Deputy Commissioner of Police Rusiate Tudravu confirmed this past hour what looks like aircraft wreckage on Delaikoro, a mountain range between Cakaudrove and Macuata which expert aviators describe as hazardous. DCP Tudravu said there was no information yet on the fate of the two pilots on the aircraft. 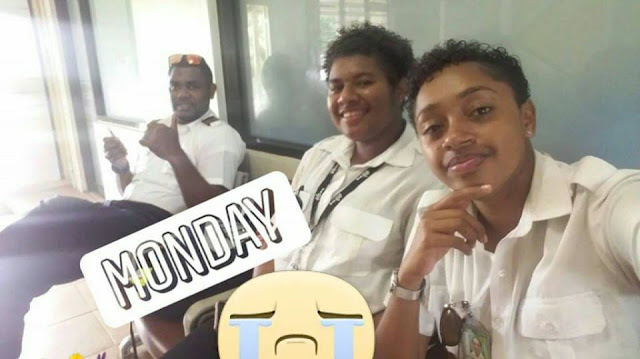 PFS trainee pilot, Merelesita Lutu and instructor Iliesa Tawalo had left Nadi airport at 7.30am on Monday morning with another trainee pilot Kalara Derederenalagi who got off at Labasa. Both Ms Lutu and Mr Tawalo were on their way to Savusavu but made their way back to Labasa when they could not land. The two lost contact with air traffic control after midday on Monday. Search teams made up of the Police, Maritime Surveillance the military and the traditional resource owners of villages on the border of Macuata and Cakaudrove have been scouring the mountainous area since Monday afternoon. DCP Tudravu said the divisional Police commander North has been directed to inform the family of the latest developments. Domestic carrier FIJI Link is also lending a hand in the search for a Cessna 172 aircraft that is believed to have gone missing in mountainous terrain near Labasa yesterday. Executive general manager Shaenaz Voss said at this stage, Fiji Link aircraft operating in the region both yesterday and today scanned the area for any sightings of the aircraft. "They will report to the authorities if they see something," she said. The missing airplane is a training aircraft that belongs to Pacific Flying School. It had departed its Nadi base at 7.30am yesterday for Labasa, carrying three people on board. One of the trainee students got off at Labasa while the second, Merelesita Lutu, 21, departed for Savusavu with flight instructor Iliesa Tawalo. The aircraft was flying over Korotari, Labasa, at about 12 pm when it lost contact with the Airports Fiji Limited (AFL) Tower. It was expected to return to Nadi by 12.30pm. 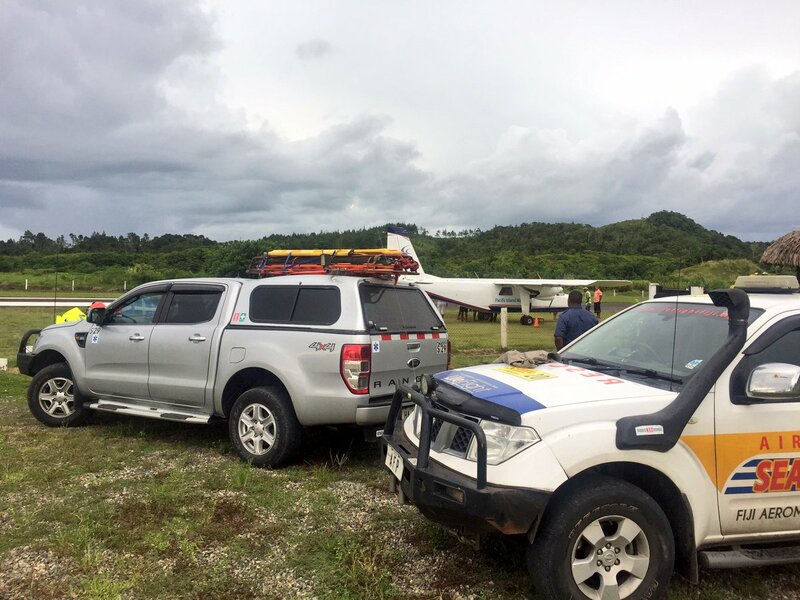 Police and RFMF officers along with villages familiar with the terrain are combing the area for the missing plane. Members of the search party looking for the missing crew of the Pacific Flying school Cessna 172R Skyhawk have returned from an early flight over the Delaikoro mountain range of Cakaudrove. The search team are scouring the mountainous area on a helicopter. Divisional Police Commander North SSP Verani Nakauyaca led the search party this morning leaving Dogoru Village at 5.30 am. Missing are student pilot Merelesita Lutu, 21 and flight instructor Iliesa Tawalo. Update: 8:14P M PACIFIC Flying School (PFS) has confirmed that one of their Cessna 172R Skyhawk training aircraft is overdue on a navigation exercise to Labasa Airport, Vanua Levu, today. A flight instructor and two (2) student pilots got on board the aircraft in Nadi this morning. The aircraft was under the command of PFS flight instructor, Iliesa Tawalo, who was conducting the training for two (2) female students. One (1) student pilot got off in Labasa while the second continued with her training. The flight school says the intention was to land in Savusavu but the weather was not conducive for the aircraft to land. The duo had decided to try to get to Labasa. That was the last communication between the aircraft and the AFL Tower. 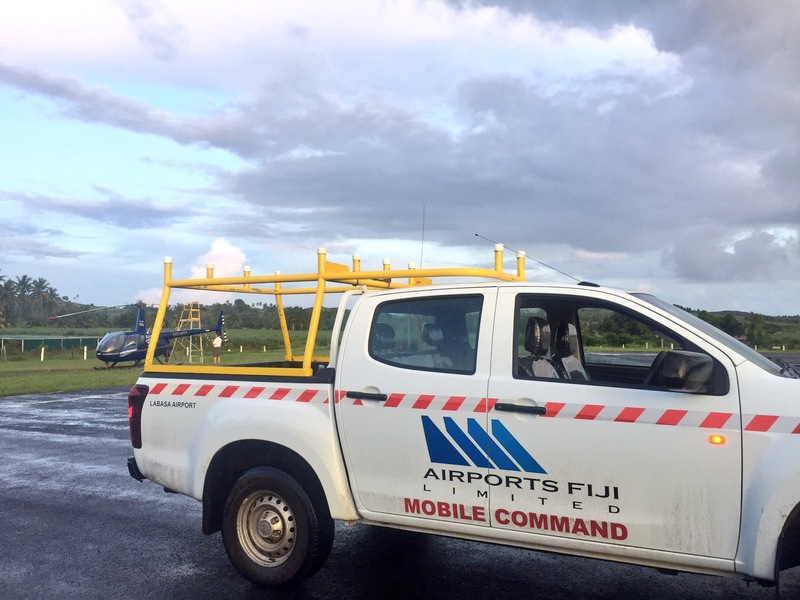 PFS says it is coordinating with the Civil Aviation Authority of Fiji (CAAF) and Airports Fiji Limited (AFL) on an aerial and ground search to locate the aircraft. Airports Fiji Limited has confirmed that a Cessna 172R Skyhawk is overdue after failing to report to Labasa Airport at around 12.15pm today. 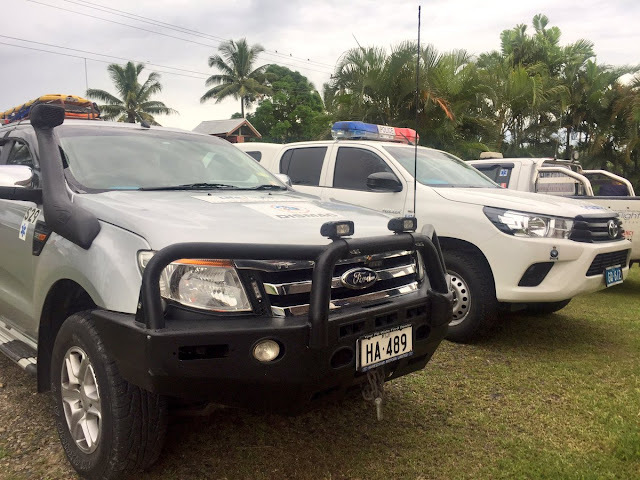 The aircraft is believed to belong to Pacific Flying School and AFL has alerted the Fiji Rescue Coordination Centre, including Navy and the Police. Police spokesperson, Ana Naisoro, has confirmed that a search team has been activated to attend to search for the Pacific Flying School aircraft which was last seen over Korotari in Labasa around 12:30 pm. She says three teams are now searching the Korotari area which is headed by the Divisional Commander North. The teams are currently searching the areas of Suweni, Navakoro and Delaikoro. Meanwhile, FBC News has just spoken to a Korotari resident, Pradeep Lal, who says rescue teams are making their way to the Korotari Mountains. A Cessna 172R Skyhawk is overdue after failing to report to Labasa Airport at around 12.15pm today. A statement from Airport Fiji Limited said they have alerted the Fiji Rescue Coordination Centre (Navy) and the Police. “Authorities will provide further updates as more information comes to hand,” the statement said. The Volunteer First Responder Fiji tweeted the following. It is understood that the aircraft belongs to Pacific Flying School and was bound for Labasa from Suva.